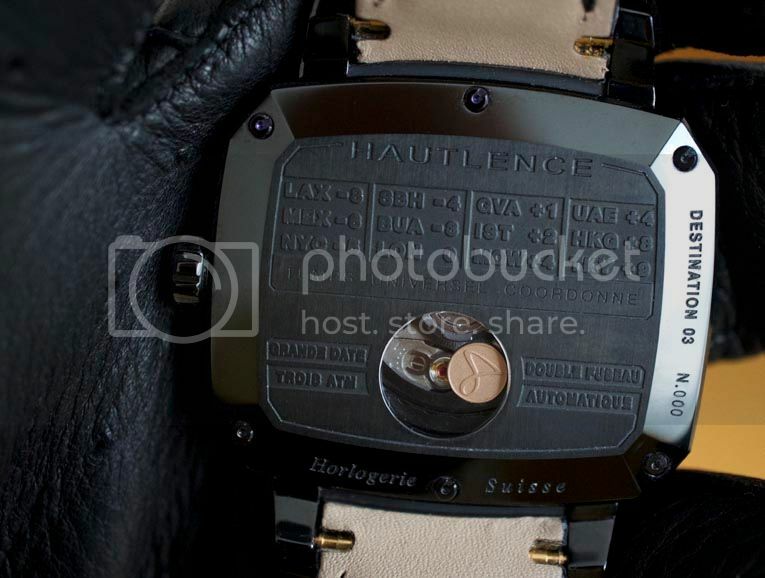 When Hautlence announced their new Destination model last year, I was very exited, since it was the first, less complicated model for the brand. 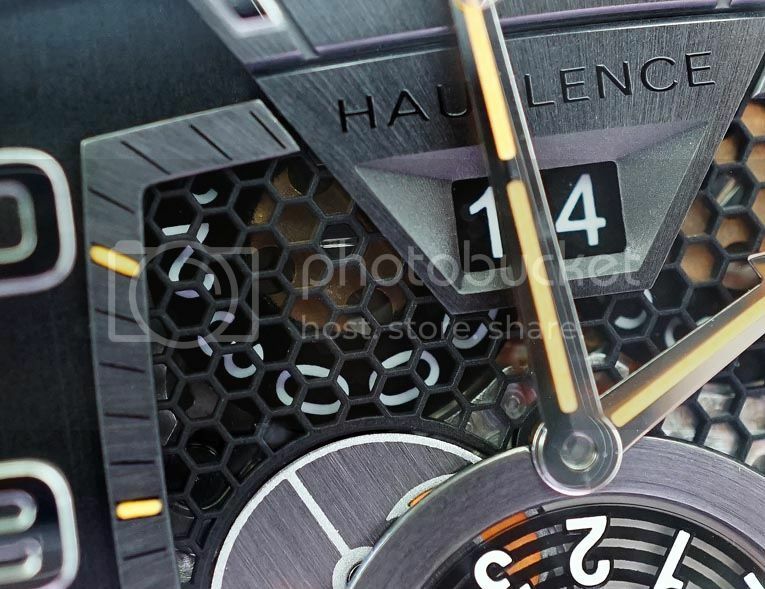 Hautlence is since the founding of the company, in 2005, known for its high tech, jumping hour time pieces, all of which have their own caliber and an accompanying price tag. The new Destination series, three different models actually, have a different concept. 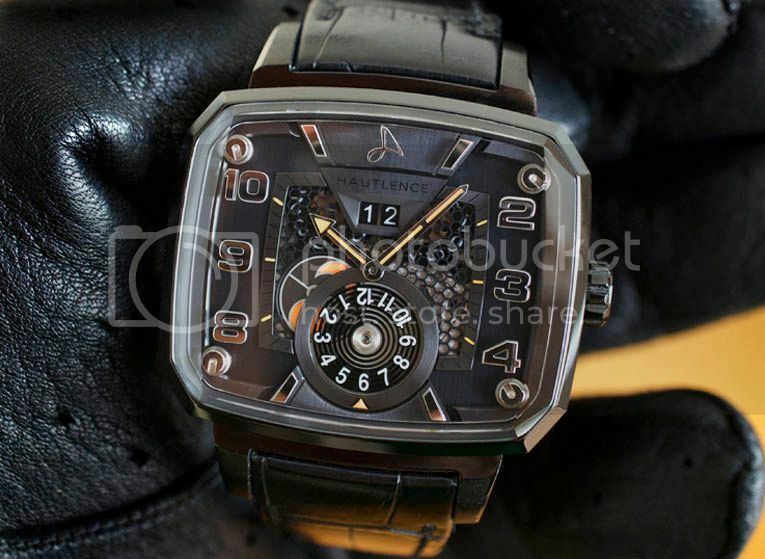 Hautlence decided Hautlence opt for a third party movement, the automatic Soprod caliber 935I/A10. A strong and reliable movement that has been around quite some time now and has proven to proven very reliable. The decision not to go for an in house caliber this time, resulted in a very attractive price. Another major difference with the existing collection is the fact that this is also the first watch for Hautlence, that has conventional time reading. Two hands give the time and a second time zone located at the 6, gives the home time, while the day & night indicator, informs you if your family back home has already gone to sleep. Very cool feature especially the way it is executed. All very transparant, due to the see through layers. While the Destination series is a completely new line, they do have two things in common, with the well known HL series. 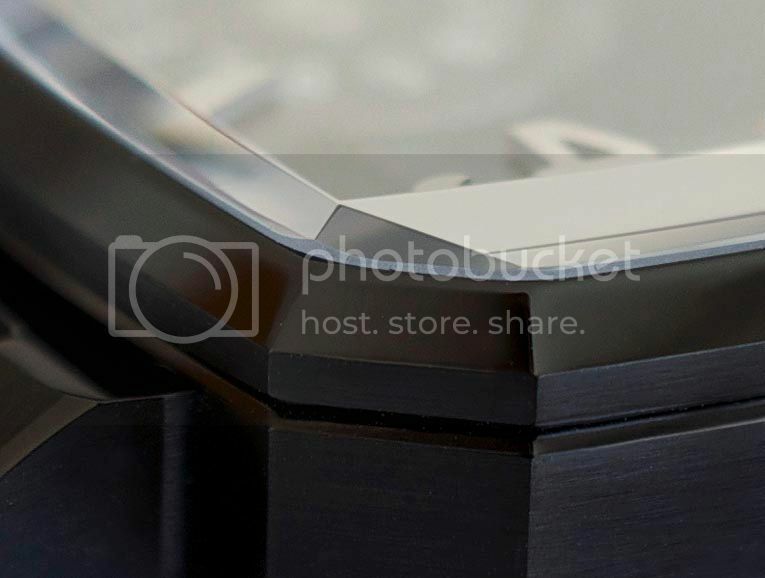 First one is that nice chunky TV shaped case, that measures 37 x 43.5 x 13 mm and sits very comfortable on the wrist, due to the fact that it is shaped horizontally. 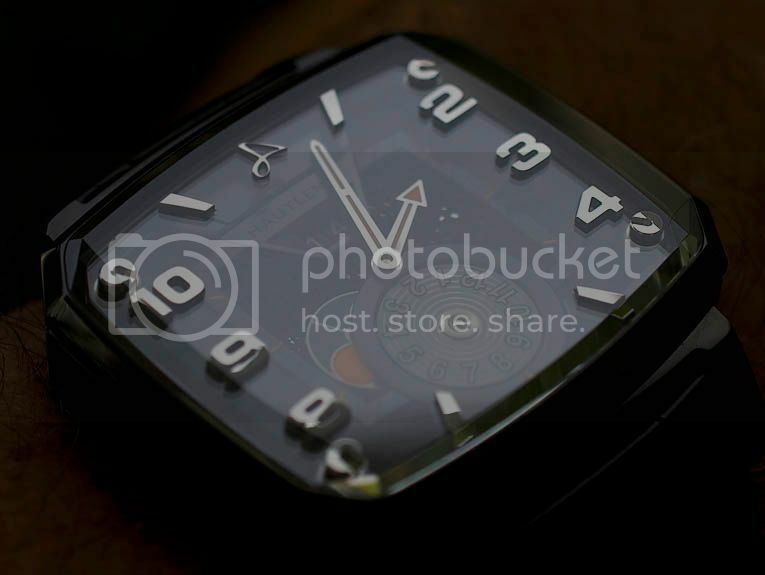 And the second detail that the Destination series shares with the HL series, are the numerals, that seem to float above the dial, since they are attached to the glass, instead of the dial. 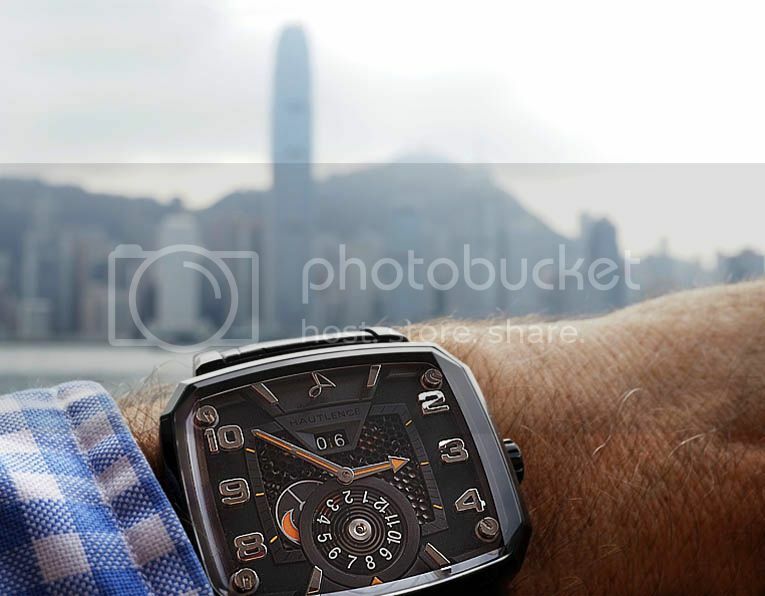 This gives a very 3D effect and also gives a deep look into the case and through the honeycomb dial. The sapphire crystal of the Destination models differs from the HL series and is facet cut which enhances the 3D look even more. 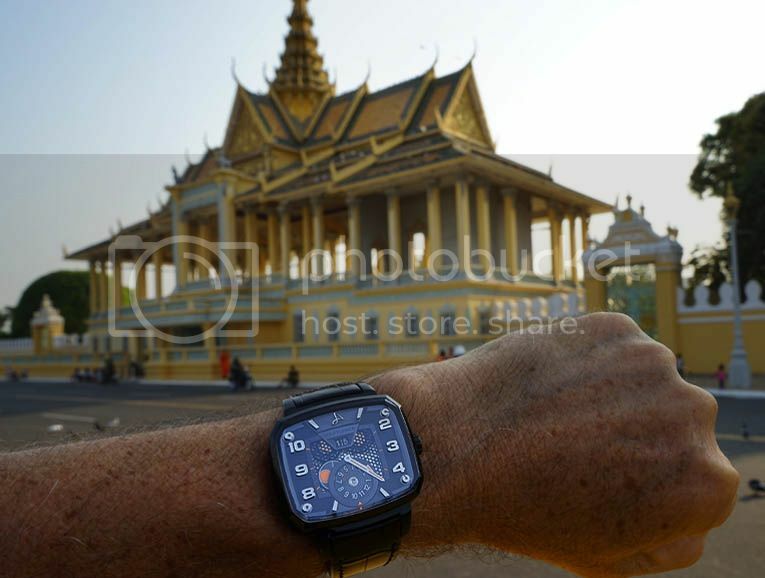 All three Destination models have on the upper part of the dial, underneath the number 12, a large date and at 8 o'clock that Day and Night indicator, that is working together with the second time zone and indicates instantly, if it's day or night 'back home'. 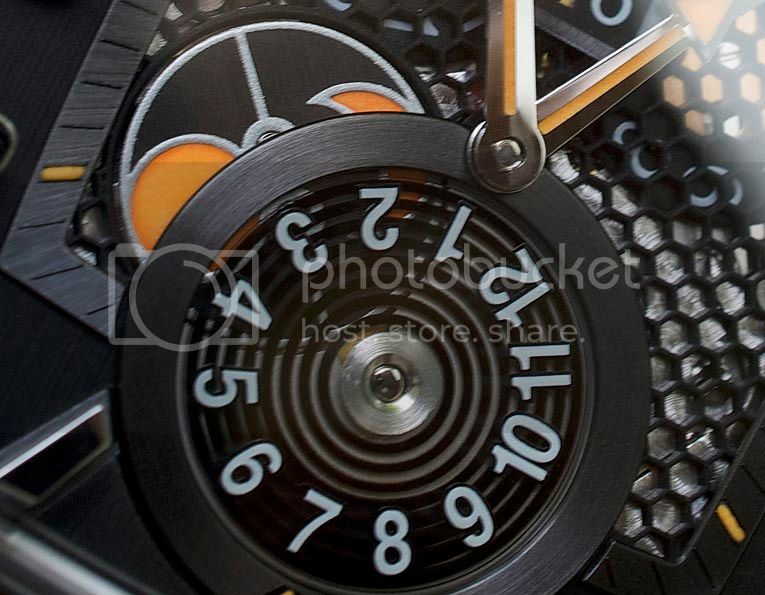 The rotating discs can be seen thru the honey comb dial. The black works well with the Destination case and it gives a smooth feel. 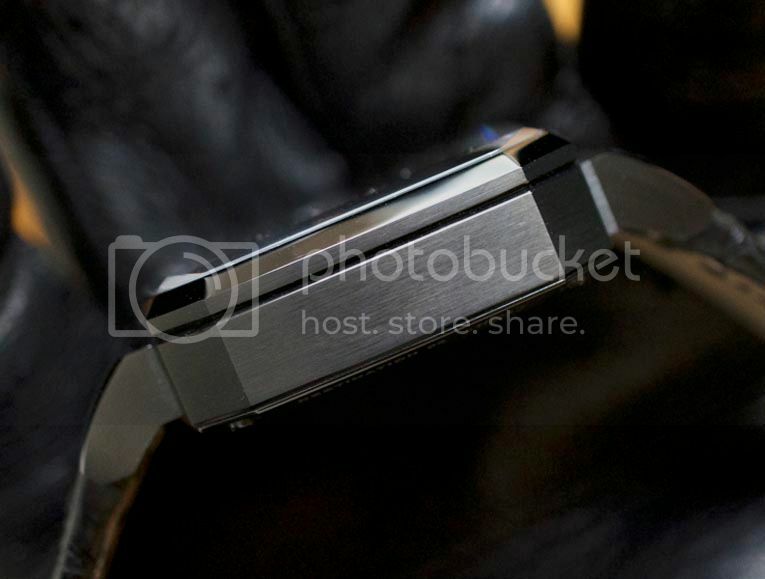 The DLC coating is satin finished with some polished accents, like the bezel and part of the crown. But I must say that the decision between the DLC coated titanium case or the uncoated titanium case is a DLC one. Bothe are very different looking. I opted for the black version, since it fits my casual clothes pretty well, especially when travelling. 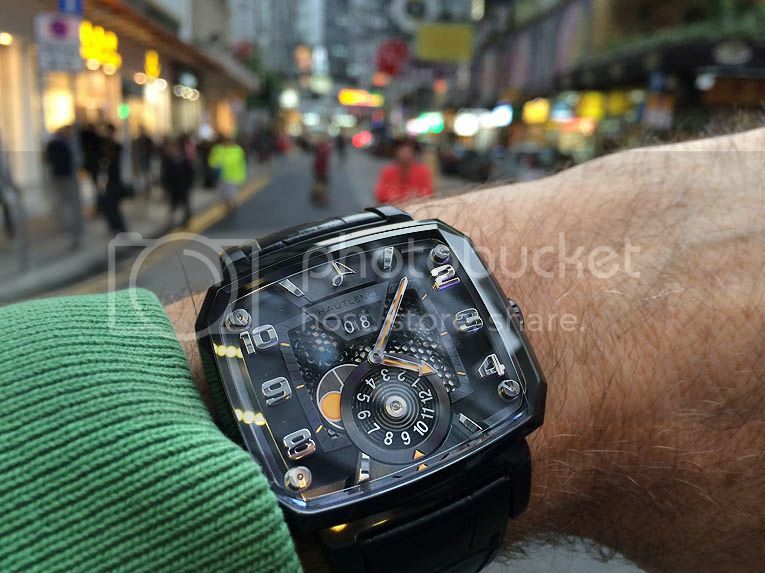 The case of the watch may look large in photographs, but it wears smaller than it may look. I have an 18cm wrist and am wearing an HL with the same dimensions, since years. It looks great and feels good. 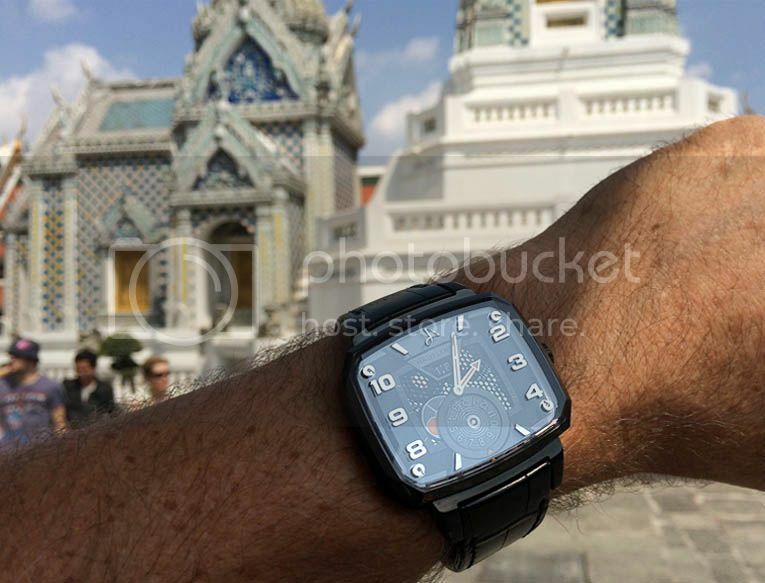 At the moment I am travelling in Asia and I share a few more wrist shots, that I made in the various cities, to give an idea how the watch sits on the wrist in daily life. how cool the extra Day & Night indicator (for the home time) actually is is. Hope I have not bored you, with too many pictures. 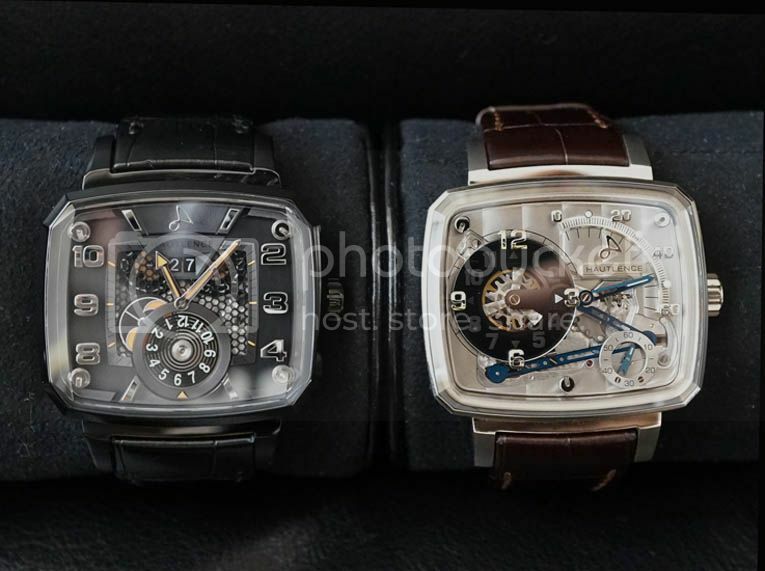 Next Topic: Are there any interesting independent mechanical watches around the $1K price range?